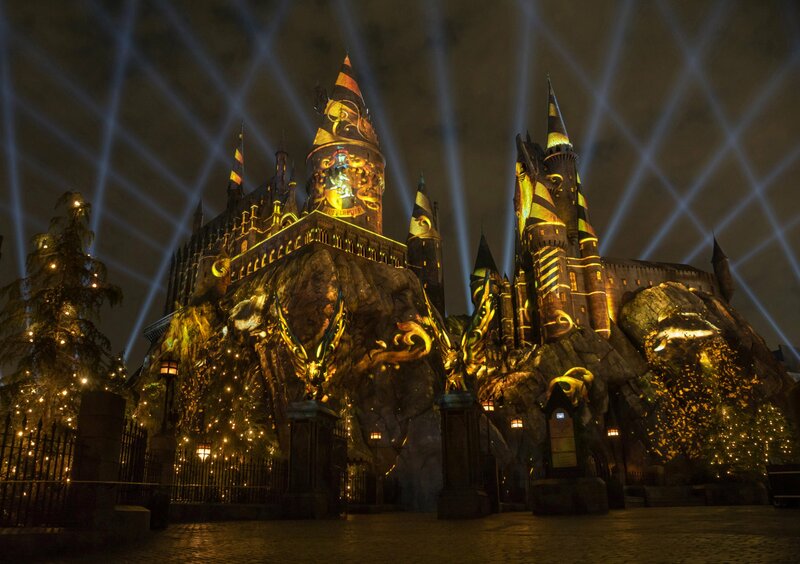 When word arrived in early 2017 that both Universal Studios Japan and Universal Studios Hollywood would be receiving projection-mapping shows utilizing Hogwarts Castle as their canvas, Floridians were, understandably, confused. 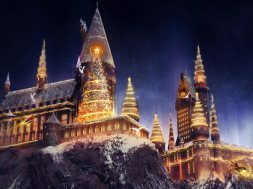 Universal Orlando Resort had been the original Harry Potter trailblazer, after all, opening Hogsmeade several years before its counterparts and, even, topping it off with a still-exclusive land, Diagon Alley, in 2014 – so why wouldn’t Harry’s theme-park home receive such an immersive addition? It turns out that it was – sort of. In between Universal announcing a way-cool Dementor show for Osaka this past March and revealing The Nighttime Lights at Hogwarts Castle for California in May, Islands of Adventure was confirmed to be getting The Magic of Christmas at Hogwarts Castle, which, as it sounds, was intended to be a holiday-only affair, starting on the far-off date of November 18. 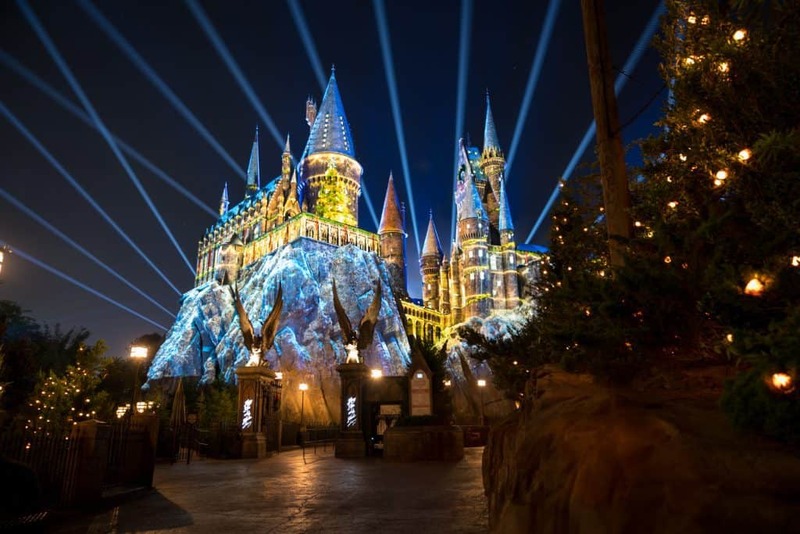 While people at other parts of the planet would be enjoying their summertime – and, apparently, exclusive – performances, Orlandoans would be left out in the (purely metaphorical) cold, waiting for their turn to be awed by the new wave of Wizarding World magic. 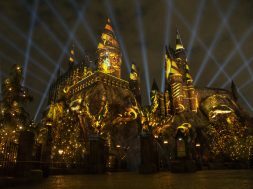 Unsurprisingly, the new addition is The Nighttime Lights at Hogwarts Castle, the Universal Studios Hollywood performance that debuted on June 23, 2017. (Lightly) narrated by the Sorting Hat, the production consists of a series of images that twist and shift and coalesce all around the iconic castle, allowing each of Hogwarts’s four houses to have its moment in the magical sun. It’s a fun, roughly-five-minute-long show, one that will put you in the mood for further adventures in Harry’s wondrous world (especially when that now-legendary music kicks in!). Why have Nighttime Lights arrive on the East Coast now, nearly a year later? Logistics, for one: in preparation for Christmas in The Wizarding World of Harry Potter, the various requisite projectors were installed around the land and a new traffic system, replete with taped-off pathways (some of which are one-way), was instituted. Switching one projection-mapping show for another, then, is as easy as a flick of the wand – especially considering that all research-and-development costs associated with the project have already been paid for, as well. 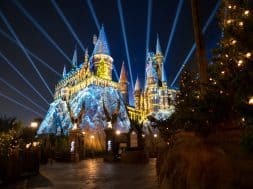 And given that California ended up getting Orlando’s Magic of Christmas at Hogwarts last year, there is now a parity of projection-mapping experiences between the two American theme-park locations. Look for the new show to have a special sneak preview during this month’s A Celebration of Harry Potter, on Saturday, January 27 and again on Sunday the 28th (there’s even a sneak-sneak preview for vacation-package holders on Friday the 26th), and then to have its official debut on Wednesday, January 31. As of right now, it’s only scheduled to run on February 5 and then from the seventh to the 12th of that month, but Universal promises more dates will be announced soon. 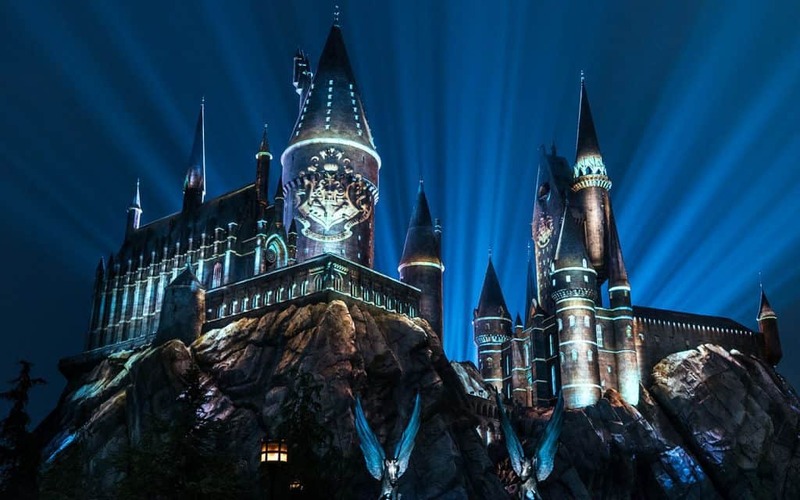 Adding The Nighttime Lights at Hogwarts Castle to Islands of Adventure’s repertory is just the latest in a seemingly-never-ending series of updates, no matter how small, that Universal has been routinely unleashing at both Hogsmeade and Diagon Alley. 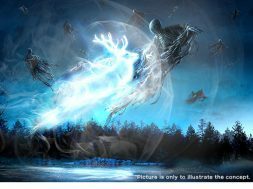 Ranging from new permutations of Butterbeer to additional chocolate frog cards to that most exciting development of them all, a brand-new and exclusive roller coaster, the Wizarding World has had something fresh to offer visitors nearly every single one of its eight years of existence thus far (even A Celebration of Harry Potter is one of these continual additions). It’ll be interesting to see what other surprises the company has up its sleeve for 2019 and beyond – and whether any of those will include Japan’s bevy of original experiences. Are you attending A Celebration of Harry Potter? Don’t miss our complete insider’s guide to help you get the most out of the show. And don’t miss one single announcement from the show floor – be sure to follow Orlando Informer on Facebook, Twitter, and Instagram.